I have to confess a special liking for the GT6 Mk3. The low seat, loud exhaust and gorgeous view along the bonnet is fantastic. 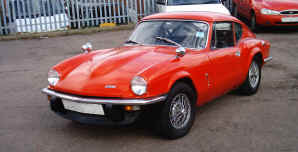 The styling inside and out is very similar to the Spitfire Mk IV / 1500. 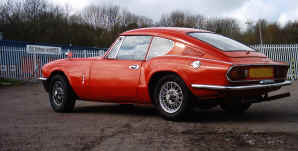 The pointed bonnet, power bulge and Vee tail are very distinctive. 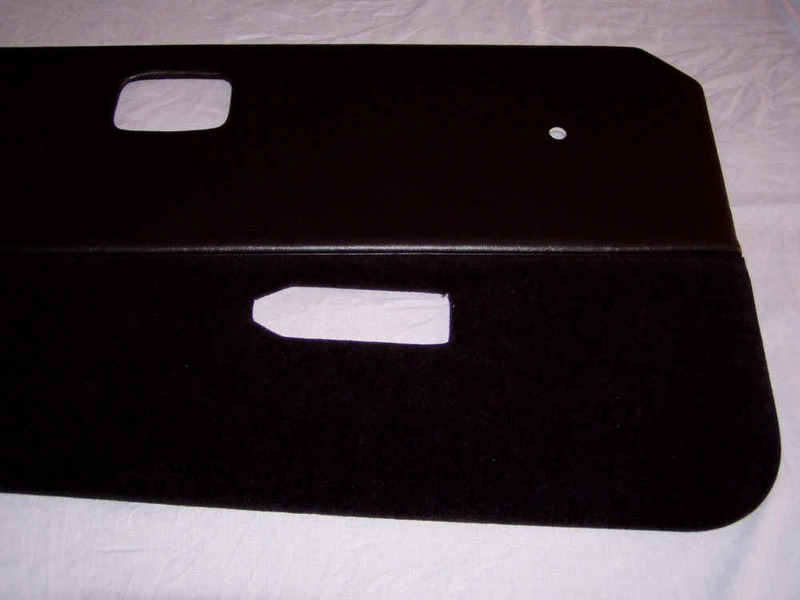 The added protection from the hardtop means the interior of a GT6 is usually better than a Spitfire of the same age. Many components are interchangable e.g. door boards, radio housing, seats etc. 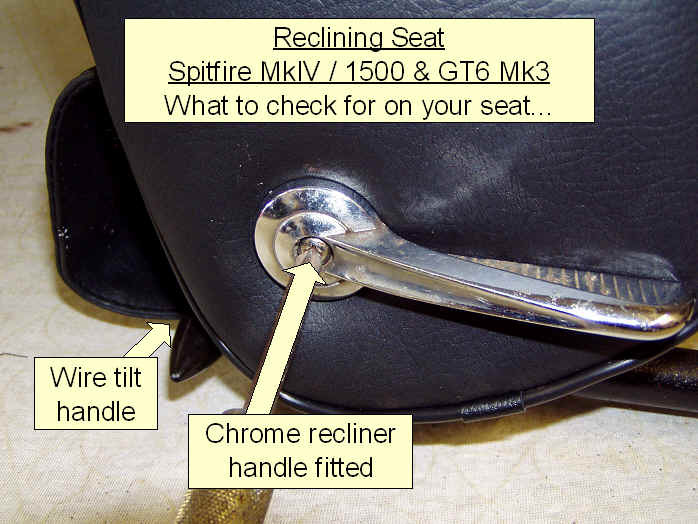 The seats were developed over the life of the later GT6 and Spitfires. 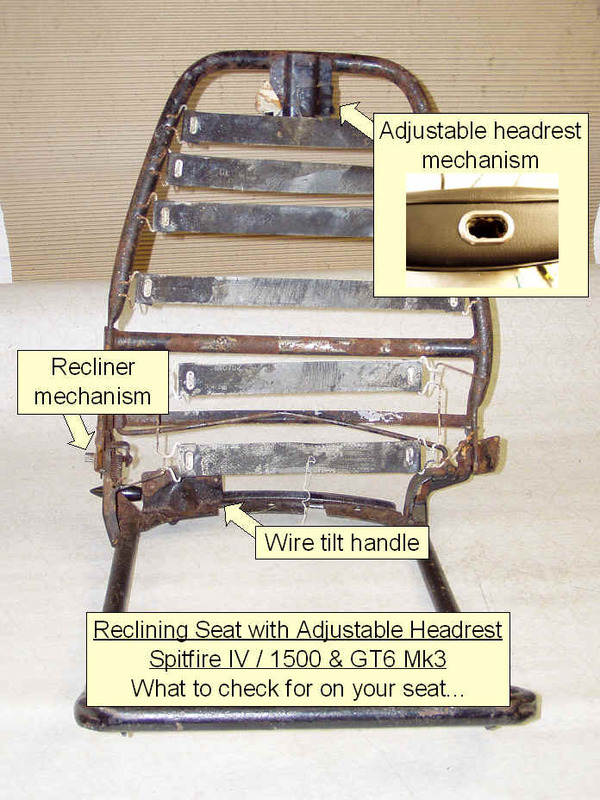 Basically there are four types: Non-Reclining; Reclining; Reclining with adjustable headrest; High Back. The mounting points remained the same throughout production so many owners have fitted the later, more comfortable seats... luckily they are quite easy to identify. 1.Wire tilt handle but no chrome recline handle. 3. Headrest bezel on cover and adjustable headrest stem mechanism. 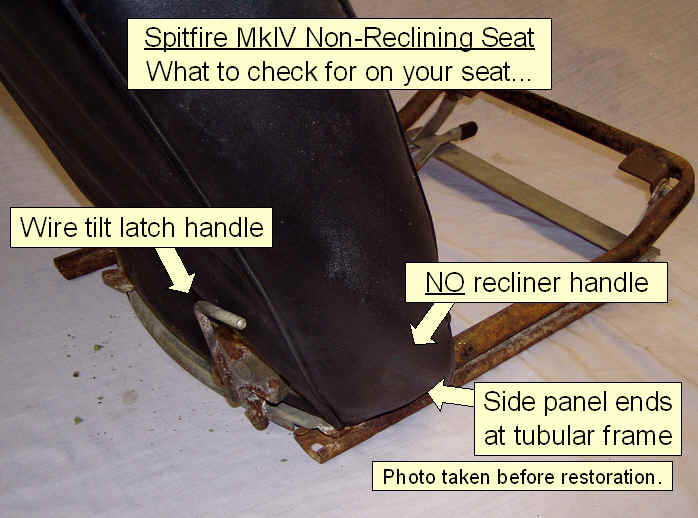 Fixed integral headrest 1. Tubular frame extends upwards into an built-in, fixed headrest. Fitted to some USA cars. Unfortunately I don't make covers for these seats. Moquette bottom panels and weld lines on the door panels. Retrimming your GT6 is a very good way to add value and can be very rewarding. Everything I produce is aimed at the first-time trimmer with NO special tools or materials. I love to see photos of your successes and am always here if you need a little extra support.